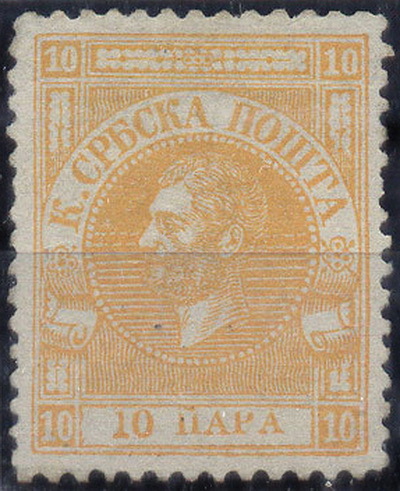 Serbia issued its first stamp in 1866 and continued issuing its stamps till 120 when its postal system was merged with that of the former Austro-Hungarian territories. 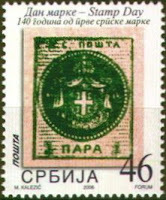 After the Nazi Germany established Nedić's Serbia in 1941 it issued its own stamps until 1944. Initially, Yugoslavian stamps were simply overprinted in German with the word Serbien. 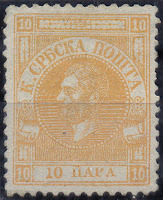 Later regular issues were inscribed both Serbien and Србија (Serbia). From 1944 onward, Serbia was part of Yugoslavia. Upon the dissolution of the union of Serbia and Montenegro in 2006, Serbia began issuing its own stamps once more. The Post of Serbia issues the country's stamps. 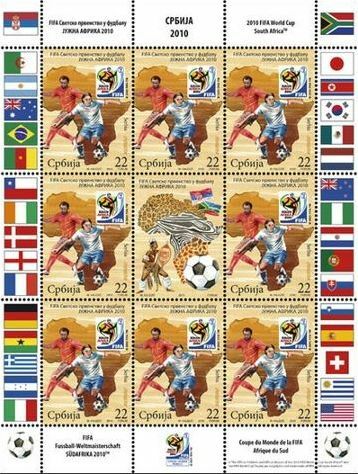 Serbia issued a set of 18 stamps on the eve of FIFA World Cup Football held in South Africa 2010. 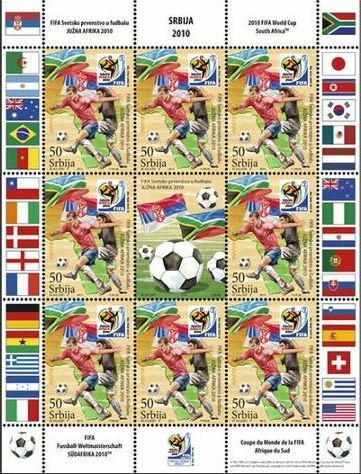 The stamp showed flags of all 32 countries that participated in the tournament.